The Biggest Painting in the World 2020 Otofuke town was completed at Shimoshihoro Primary School, in Otofuke City, Hokkaido Prefecture. 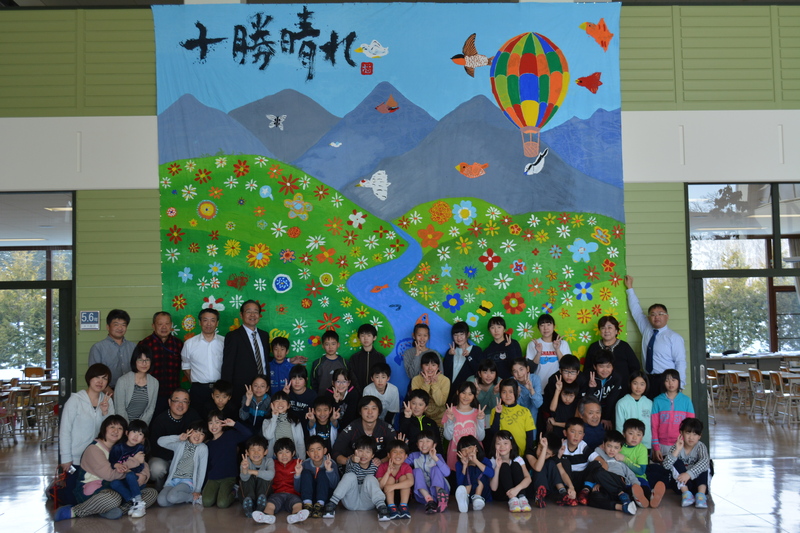 Delivered the cloths for the Biggest Painting in the World to Shimoshihoro Primary School in Otosara Town, Hokkaido. Delivered the cloths for the Biggest Painting in the World to Shimoshihoro Primary School in Otofuke Town, Hokkaido.